Home NewsOfficial launch of our brand new website! Official launch of our brand new website! 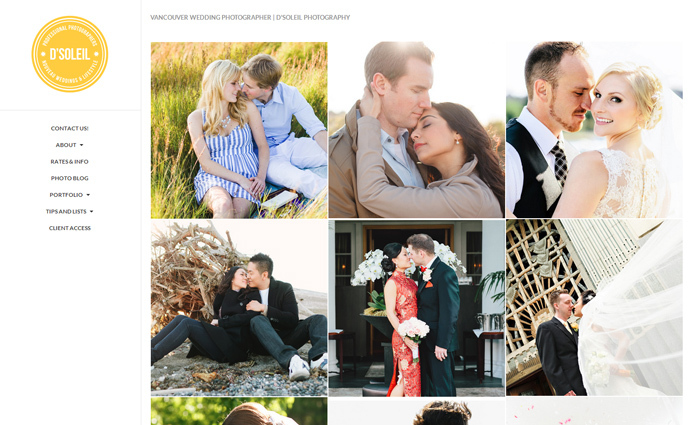 We are proud to announce the official launch of our newly designed Vancouver wedding photography website. Keeping with our goal for usability and simplicity, we’ve put together a new website design that will allow current and future clients to more easily access samples of our work, and to get more information about us. Our contact form has also been redesigned and should now allow users with a simple way to get in touch with us by form, email, and telephone. In the months ahead, we will be added more content and features to help families and couples in Vancouver. We will also be adding a photographer’s journal that will include exciting photography content directed at photographers and those interested in digital imaging and lighting. Thank you again for visiting and please stay tuned for more ahead! Next Post Spring is in the air | Lily + Jon Vol 1. Sharp! And congratulations on the new website launch~! Congrats with the new launch. Looks great!! Fantastic logo!! I love your new look!